I recently had the misfortune to somehow break my bike lock. It is of a tubular lock design that you often see in vending machines and somehow had rotated to a point where the key could not be put in. The general consensus at this point seems to be to take the lock to a lock-smith. I thought I'd try and repair it myself before that. 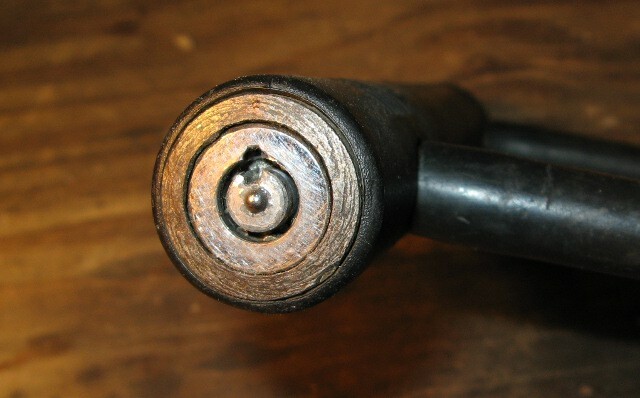 The broken tubular lock. Note the mis-aligned slots. 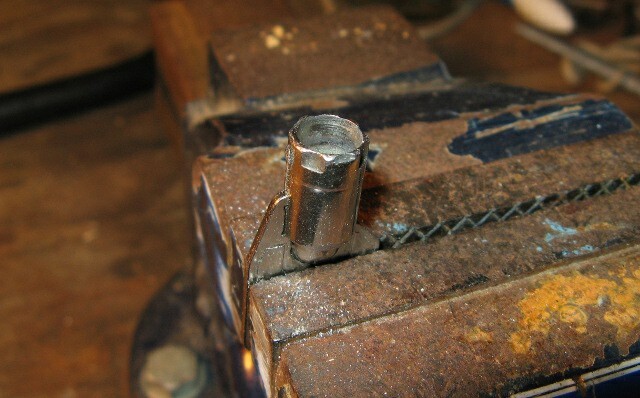 The key with protruding alignment groove. After some reading on the design of tubular locks (e.g. 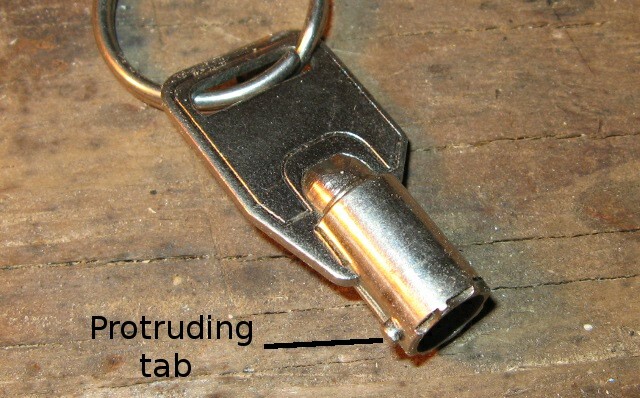 the tubular lock article at lockpickguide.com) it became clear that the inner ring had slipped by one pin relative to the outer ring. In order to rotate the lock back, I filed the tab off a spare key to the lock and used that to rotate the lock back to the correct position. 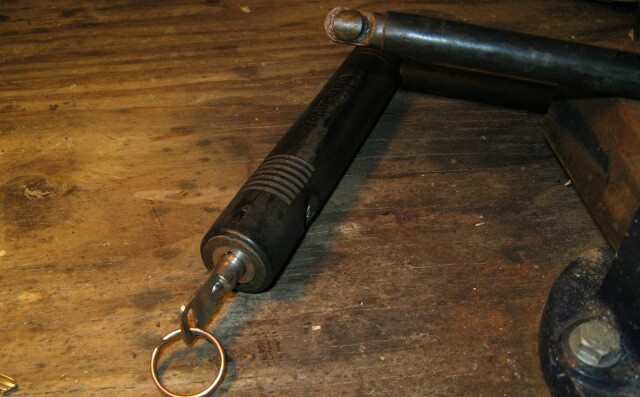 Once the lock was correctly aligned, the normal key worked as it should. It is important at this stage to only use the filed key for repairing the lock. Using it to open the lock in normal circumstances will not be ideal as it can easily fall out of the lock at any time, thereby breaking the lock again. 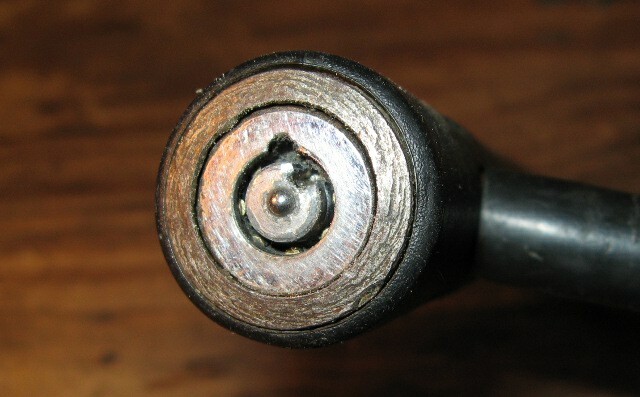 A spare key with the alignment groove filed off. The repaired lock with correctly aligned slots. Published on 10th July 2011.